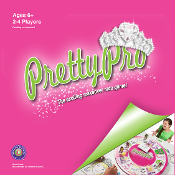 The exciting makeover board game with an inner beauty twist! The exciting makeover game with an inner beauty twist! Copyright © 2013-2019 Decker Sisters. All rights reserved.